Norwegian American Akita Club invites to breed special show Saturday 5.september 2015, same weekend and place as European Dogshow 2015, Oslo. How do you enter your dog to a show? Entering your dog to the Show is swift and easy. 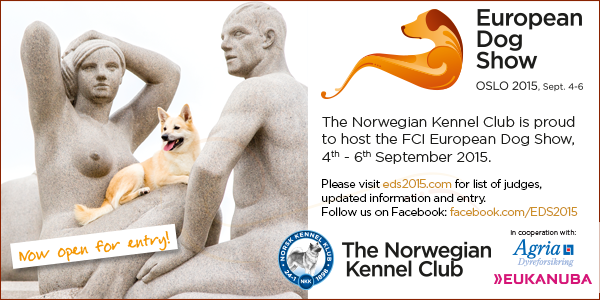 The best way to enter a show is to create a user account at Norwegain Kennel Club webpage and do the entering and payment online.You can create a user account and enter shows via “My Page in English”. Payment via VISA/Mastercard. Online entry description «How to enter» www.nkk.no . Registration is financially binding. For the third dog with the same registered owner is ½ fee (not applicable puppy and veteran). NB! Payments for manually entered dogs must be labeled with the dog’s full name and reg.number.